More than half of the Internet applications of Russian Banks were not sufficiently protected. According to the research of Positive Technologies, attackers can view some programs and also edit the information in them. Cybersecurity Experts analyzed dozens of applications. In their opinion, 61 percent of programs have extremely low or low levels of protection. It turned out that every second online Bank (54 percent) allows attackers to make fraudulent transactions and theft of money. For example, scammers can spoil the number to which the auto payment is set up or steal the victim's card number. In addition, according to researchers, almost 80 percent of Banks carry out many operations without additional protection. You can transfer funds or disable the sending of one-time passwords without confirmation by SMS. Earlier it became known that 85 percent of all ATMs are vulnerable to attacks aimed at stealing money. It turned out that Banks prefer not to update the ATM software, as it requires additional costs. Information security Experts note that radical measures are needed to correct the situation. Part of the voice messages of users of the Russian popular social network Vkontakte (Vk) was in the open access. On Monday, users of the social network reported that they can find personal voice messages of other users in the "Documents" section. It was noted that messages could be found on the search request “audiocomment.3gp”. Representatives of the social network stressed that it is not a vulnerability in the mechanism of the site, as all voice messages in the Vk application protected and only participants can access the correspondence materials. According to the Vk Press Service, audio records could get into open access if users downloaded them through third-party unofficial applications. The Vk administration also added that the social network does not use the audio format audiocomment.3g. The company recommended using official Vk applications to avoid such leaks. At the moment, the Vk Team quickly removed from public access about two thousand audio messages. 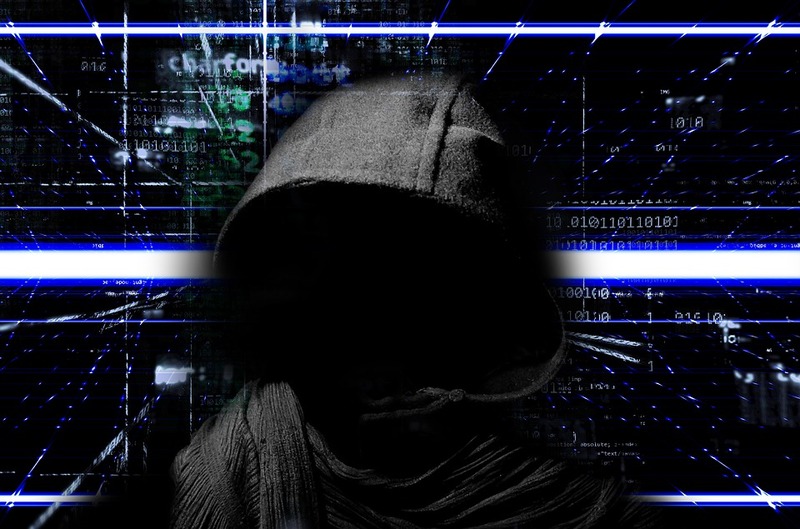 A survey conducted by a UK-based IT security provider Sophos has found out that over 76 percent Indian companies were hit by cyber attacks in 2018. India stands at third spot of highest number of cyber attacks in 2018 after Mexico and France. Meanwhile, 68 percent organizations in the world admitted of being a victim of the cyber attacks last year. Managing director sales at Sophos India & SAARC, Sunil Sharma told Business Today, "In India, most of the attacks are happening where the money is, which means the financial services, oil and gas and energy sectors. These are the places where cyber-criminal can make most of his money and they are hit most by them." The survey was carried out in 12 countries which includes US, Canada, Mexico, Colombia, Brazil, the UK, France, Germany, Australia, Japan, India and South Africa, and there were about 3,000 IT decision-makers from mid-sized businesses. "Server security stakes are at an all-time high with servers being used to store financial, employee, proprietary and other sensitive data. Today, IT managers need to focus on protecting business-critical servers to stop cyber criminals from getting on to the network," Sharma further added. "They can't ignore endpoints because most cyber attacks start there, yet a higher than expected amount of IT managers still can't identify how threats are getting into the system and when." The survey report reveals that in India, 39 percent of the cybercrimals are detected at the server, 35 percent are on the network, and 8 per cent are found on endpoints. "It has been found that the visibility is not there. We don't know what kind of attack. We don't know how many modes it has actually traveled. We don't know how the attack is damaging, which are the endpoints, where it has actually made damage. All that visibility is not available and it is also not helping them to take right decisions," Sharma said. According to the survey report, 97 per cent IT managers admitted that cyber security is the greatest challenge in India. The Competitive Commission of India have received queries from business giants like Flipkart, Facebook, Nokia's maps division, MakeMy-Trip.com and several other companies that US Internet giant Google abused its dominant market position in procuring search results. The CCI director-general last week filed a report that accuses Google of abusing its dominant position to rig search outcomes, which includes actual search results as well as sponsored links, as seen in the responses from 30 businesses spanning search, social networks, ecommerce, travel and content sites. This marks the first case globally where an antitrust body is formally raising such charges against Google. This was first initiated when Bharat Matrimony and a Jaipur-based not-for-profit, Consumer Unity and Trust Society, lodged their complaints against the search giant. The Economic Times has highlighted Microsoft's extensive submission on Google's alleged abuse of dominance. Others who responded to CCI include Map-MyIndia.com, Hungama Digital and GroupM. The company has been asked to present itself in front of a seven-member committee headed by chairman Ashok Chawla, a week prior to which it has to submit a report consisting its findings regarding the complaints. The proceeding can go on for several hearings before the commission makes a decision, which can be challenged in the Supreme Court. If the commission finds Google guilty, it can ask the company to make changes in the way it does business. There is possibility that CCI might impose a fine up to 10% of Google's income. The CCI could also pursue against top Google executives. Google posted a net income of more than $14 billion on revenue of $66 billion in 2014. 4 Investigates found a pile of records wound up in three giant dumpsters at Graham Central Station in Albuquerque.The records includes social security number, date of birth and driver’s license number. The 4 Investigates team collected the records and attempted to contact every one of the former employees listed. There’s assurance that if the records had already been compromised or not, but investigative team alerted every one about the possible risk. The blame game has started. Graham Central Station’s president, based in Texas, Roger Gearhart, refused to answer questions, but sent a statement through his attorney, "Graham Central Station was upset to learn that its landlord... recently discarded dozens of its personnel files into a public dumpster. Ross Plaza One evicted Graham Central Station from its building and offices in November 2014 and changed the locks, which prevented Graham Central Station from accessing its records for a period of months. Although Ross Plaza One assured Graham Central Station that its records would be destroyed, that apparently did not happen." Those people who worked at Graham Central Station, need not to worry as their records are now in safe hands. Graham Central Station was famous for having more than one club under one roof, but after eleven years in business, the club was closed down. Securities and Exchange Board of India (SEBI), which established in 1988 to regulate the securities market in India, asked stock exchanges, depositories and clearing corporations to put in place a system that would prevent systems, networks and databases from cyber attacks and improve its resilience. According to a report published on LiveMint, the SEBI said these Market Infrastructure Institutions (MIIs) need to have a robust cyber security framework to provide essential facilities and perform systemically critical functions of trading, clearing and settlement in securities market. “As part of the operational risk management framework to manage risk to systems, networks and databases from cyber attacks and threats, the MII should formulate a comprehensive cyber security and cyber resilience policy document to put in place such a framework,” the SEBI said. It is said that the SEBI also asked the MII to restrict access controls in the time of necessary. As per which no one will have any intrinsic right to access confidential data, applications, system resources or facilities. The SEBI has asked it to deploy additional controls and security measures to supervise staff with elevated system access entitlements. According to the news report, the SEBI Chairman UK Sinha said that attackers are attacking in a more sophisticated manner. 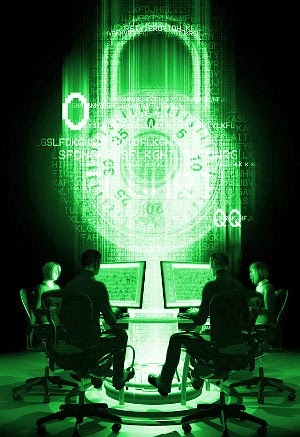 “We are worried over state-sponsored cyber attacks. There are worries that the vulnerability in markets are increasing. We need to create a framework for future plan of action on securities market resilience,” he added. The exchanges and other the MIIs would also have to submit quarterly reports to the SEBI, containing information on cyber attacks and threats experienced by them and measures taken to mitigate vulnerabilities, threats and attacks including information on bugs, vulnerabilities and threats that may be useful for other the MIIs. Along with this, the MIIs have to share the useful details among themselves in masked and anonymous manner using a mechanism to be specified by the regulator from time to time, to identify critical assets based on their sensitivity and criticality for business operations, services and data management. Likewise, it should maintain up-to-date inventory of its hardware and systems, software and information assets (internal and external), details of its network resources, connections to its network and data flows. The SEBI asked market stakeholders to establish baseline standards to facilitate consistent application of security configurations to operating systems, databases, network devices and enterprise mobile devices within the IT environment and also to restrict physical access to the critical systems to minimum. Cyber Security and Privacy Foundation (CSPF), a non-profit organisation which provides solution to tackle cyber security and privacy issues, has developed a set of rules to protect servers from malicious hackers. It has come up with modsecurity rules for public, wrote Manish Tanwar and Suriya Prakash of CSPF. Although, OWASP Core Rule Set (CRS), a project which aims to provide an easily pluggable set of generic attack detection rules that provide a base level of protection for any web application, has been solving several kind of vulnerabilities, it has failed to protect backdoor’s attacks and latest bypasses. So, CSPF's rules are aimed to protect against the latest bypasses and back doors. It is all set to release the rules for the public. According to the organization, these can be easily expanded. - The rules can block sensitive files and folders from being accessed. - The rules can block b374k shell variants along with some other popular shells. - The rules also disable directory listing and phpinfo. - The rules block SQL Injection. Cisco System Inc, an American multinational corporation, has released an advisory to address remote code execution vulnerability in its Unified Computing System (UCS) Central software, a networking giant which integrates processing, networking and storage into one system. The company said that it could exploit by remote attackers to execute arbitrary commands on affected systems. “Successful exploitation of the vulnerability may permit unauthenticated access to sensitive information, allow arbitrary command execution on the Cisco UCS Central operating system or impact the availability of the affected device,” Cisco wrote in its advisory on May 6. According to the advisory, the vulnerability was caused by the improper input validation (CVE-2015-0701) which allows an unauthenticated remote attacker to execute arbitrary commands on the underlying operating system with root privileges. However, the company has failed to validate user input via its web framework, exposing the platform to remote attack in versions 1.2. The company added that it is not aware of any public exploits as it hasn’t found any evidence to prove it. The advisory said that the users can fix the vulnerability by updating the software which is provided by Cisco. The company has urged its users to update to UCS Central software version 1.3. It has assigned the vulnerability its highest severity score of 10. Earlier, Cisco released security updates for several of its products. Like Cisco Adaptive Security Appliance (ASA), Cisco Small Business SPA300 and SPA500 series IP phones, and IOS software. Google on April 29 launched a new extension, ‘Password Alert’, which warns people whenever they type in their Google password on any site that is not a Google sign-in page. Drew Hintz, security engineer and Justin Kosslyn, Google Ideas, posted on the Google’s Online Security Blog, that the Password Alert, which is now available on the Chrome Web Store, is aimed to prevent phishing attacks. However, it also aims to minimize the over use of Google password. They wrote that it is designed to alert people while they use their Google password on those sites which are not operated by Google. According to them, if anyone enters his/her password on a website that’s imitating accounts.google.com and aims to get personal details, he/she will receive a warning. It also provides people time to change their password before it gets misused. It works by checking the HTML of the page to identify whether it’s a legitimate Google sign-in page or not. According to Google, the password hacking is known as “phishing” which represents two percent of all Gmail messages. The new tool is believed to be an additional attempt of security for Google’s users. The Password Alert sits among a number of tools which are aimed to safeguard user accounts. Other methods include two-step authentication and security key. 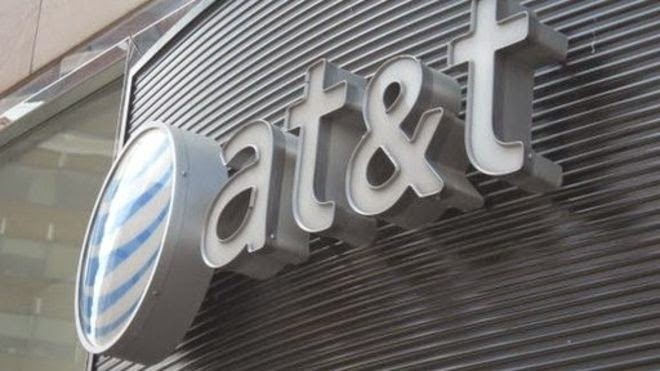 The Federal Communications Commission (FCC) has fined AT & T Inc with $25 million over data breaches at call centers in Mexico, Colombia and The Philippines. The FCC said that at least two employees confessed stealing of private information belonging to thousands of US customers which included their names, full and partial social security numbers and account-related data, known as customer proprietary network information (CPNI). According to a senior FCC official, the details of about 280,000 people were taken during the data breaches. These series of data thefts took place in 2013 and 2014. The data was used by call center employees to request handset-unlock codes for AT&T phones and shared with third parties involved in trafficking stolen cell phones. After this incident, AT&T has informed with all the affected customers and it has also terminated its business deal with the companies that operated the call centers where the data was stolen. The company also quoted that it has changed its policies and strengthened operations to ensure that a similar data breach doesn’t occur. The investigations began by the FCC in Mexico, last May, after it was given information about data going missing. The $25 million fine is the highest that the FCC has ever issued for data security and privacy violations. An unnamed family living in Rochester, Minnesota discovered that the nanny cam they were using to keep an eye on their baby had been hacked, and the footage was being streamed online to a private channel. The incident was brought to light by KTTC, NBC's local network. The family said that they kept seeing random things that were happening in their child's room. The parents of the child would be able to hear music coming from the camera, but as soon as they stepped in the room, the sound would stop coming. After investigasting into the matter, the family found a URL attached with the IP address of the device. Upon following the URL, the family discovered a website displaying feeds from various hacked nanny cams. The hackers are not only able to see the feeds, but they can also physically control the device. 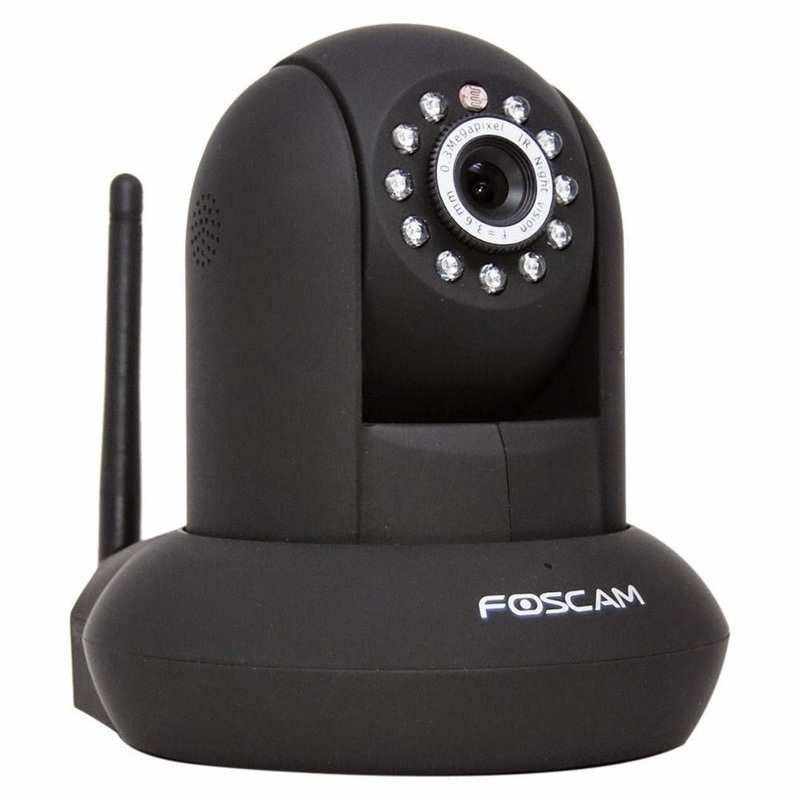 This is not the first time that a vulnerability has been found in Foscam's system. The company has its set of guidelines for implementing security measures and asks users to change the default password. While Google Play Store is able to prevent malicious applications from being uploaded to the market, Google still fails to prevent cyber criminals from uploading fake apps. Last Month, Android Police discovered a fake Antivirus app on Google Play going by the name of 'Virus Shield' which fooled thousands of users into buying this app. The story of fake Antivirus apps doesn't stop there. 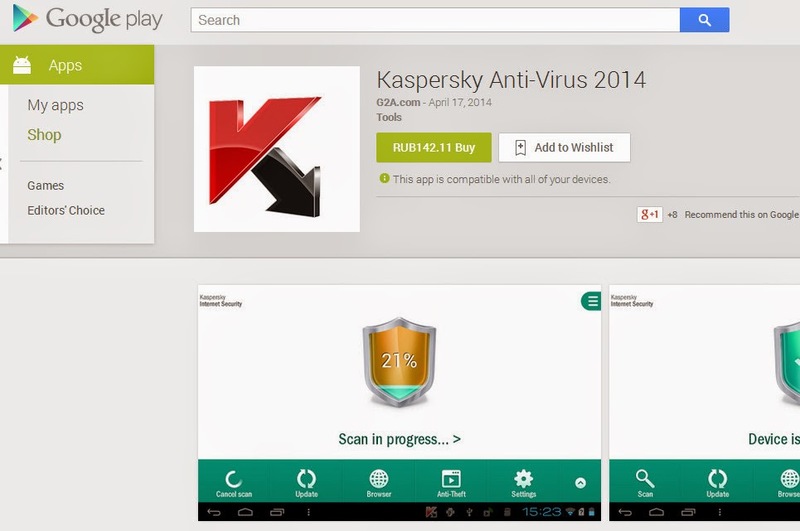 Today, Experts at Kaspersky have discovered one more fake Antivirus app going by the name of 'Kaspersky Anti-virus 2014' on Google Play. The fake version of Kaspersky was being sold for $4 that does nothing other than displaying the Kaspersky Logo. Researchers also discovered that few fake apps were being sold at Windows Phone Store. Some of them are 'Mozilla Mobile', 'Kaspersky Mobile', 'Avira Antivir' and the 'Virus Shield' apps. 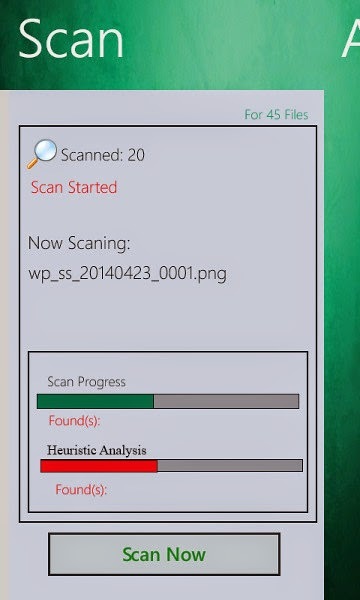 The fake version of Kaspersky antivirus app for Windows phone pretends to be scanning your device but does nothing. Few weeks back, when i was searching for TrueCaller app for my Windows phone, i also came across a fake paid Version of TrueCaller and other apps. After i reported to Microsoft, they removed those apps from the store. Just now, I also found a fake version of COMODO Antivirus for the windows phone which is being sold for $1.49. This fake app was uploaded by cheedella suresh( The name appears to be South Indian name). 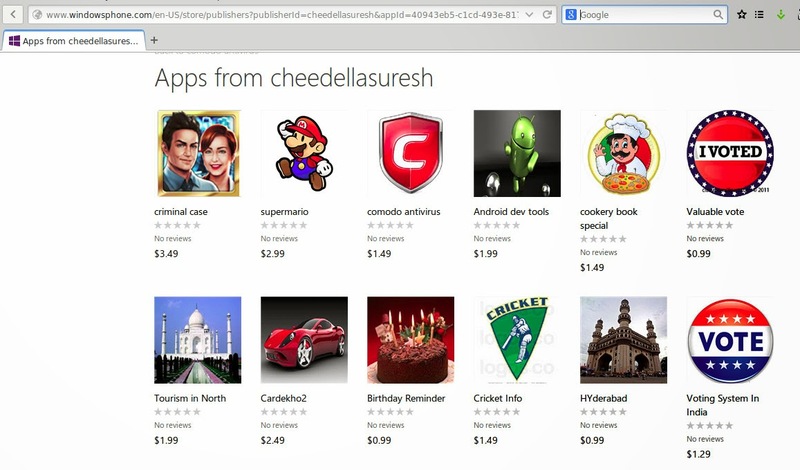 As you can see, the developer has also uploaded few other fake apps in Windows phone store. These apps have been uploaded in the recent months(April- May). Cyber Criminals often take advantage of hottest topics and latest events to entice users into visiting spam websites. The HeartBleed bug, which has made headlines over the past few weeks, is no exception. Now, spammers are sending out emails with subject "HeartBleed Bug warning". 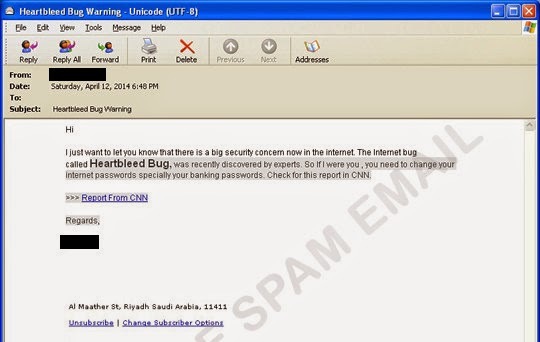 The spam campaign was discovered by Security researchers at TrendMicro. "I Just want to let you know there is a big security concern now in the internet. The Internet bug called Heartbleed Bug, was recently discovered by experts. So if were you, you need to change your internet passwords specially your banking passwords." The spam email reads. "Check for this report in CNN. Report from CNN[LINK]"
If the link provided in the email led to the actual CNN report, the email may have been considered as cyber security awareness email. But, the link leads to some malicious webpage. One good thing what spammers did is notifying users about the HeartBleed vulnerability and suggest recipients to change their password. If the link provided in the email. Most of us from beginners to advanced users use mobile phone/laptops/desktops. We don’t know to secure our machines/phones from hackers, viruses, spies who want to get our information. Here is a short course on securing your computer. mobile phones and laptops from most advanced cyber espionage guys. b. Women & Children who want to secure their phones, emails, social media. c. Lawyers , Doctors who may be targeted to get information on their clientele. d. Common Man – Anyone who uses computers from young to old for securing their own machines/laptops to protect their loved ones. Online security and safe browsing practices. Using live CD for banking. 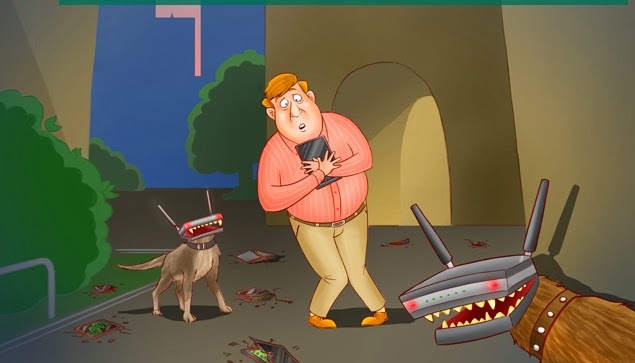 What can malware do ? Check for malware without AV (find undetectable virus). Checking USB for malware also disabling autorun.inf type virus. Secure Chat, Phone, Messaging on windows, android & others. Cyber Security & Privacy Foundation will give certificate. Here is another example why public WiFI networks pose a potential risk to your data. A report from CBC News based on newly leaked secret document by former U.S. security contractor Edward Snowden reveals that Canadian spy agency was spying on the passengers who used free WiFi service in airports. The Communications Security Establishment Canada (CSEC) is prohibited from spying on Canadians without a warrant. However, they have collected metadata about all travelers passing through Airport including Canadians. The document presented to the CBC shows the captured information from travelers' devices was then helped the spy agency to track them for a week or more as their wireless devices connected to any other Wi-FI hot spots in locations around Canada and event at US airports. According to CBC, the leaked document suggests that operation was a trial run of a new software developed by CSEC with the help US's National security Agency(NSA). Two largest Canadian airports - Toronto and Vancouver - and Boingo, a largest independent WiFi services supplier at other airports, have denied the involvement in providing any information of WiFi users. Target Corporation told Wall Street Journal that the massive data breach it suffered last month happened after cyber criminals compromised credentials from a vendor and used them for hacking into the Target system. The company didn't provide much information. It didn't say how hackers stole the credentials. They also didn't specify in which portal hackers logged into. Cyber security blogger Brian Krebs who brought the Target breach to the light, said in his blog that malware used in the breach had used username 'Best1_user' and password 'BackupU$r' to access the shared drive. Krebs highlighted the fact that the username is same as the default password used in IT management software developed by BMC Software. "According to BMC’s documentation, this account is normally restricted, but the attackers may have usurped control to facilitate lateral movement within the network." said in Dell SecureWorks report pointed out by Krebs. The report also revealed that malware component installed a service called "BladeLogic", appeared to be mimicking the name of another product of BMC. A Trusted source told Krebs that BMC's software is used by many major retailers. He believes targets also use it. Krebs also confirmed that cyber criminals known as Rescator are selling millions of cards stolen in the Target data breach. Network Security company FireEye found out Chinese hackers have compromised computers of 5 European foreign Ministries before the last Sep. G20 Summit, reports Reuters. The cyber attack was achieved by sending spam email containing malicious file entitled "US_military_options_in_Syria". Once the recipient opened the file, it infects the their computer. The company said they were monitoring the main command and control(C&C) server used by hackers in late August. However, the researchers lost access after the hackers moved to another server before the G20 summit began. FireEye believes the hackers were preparing the attack to steal data from the compromised computers. Based on evidences, especially the language used in the hacker's server and computers used for testing the malware, researcher come to conclusion that the attack is from China. How a malware can steal the data from an infected system that doesn't have internet connection? You might think it is impossible. Computer scientists say it is possible. German Researchers at Fraunhofer Institute for Communication, Information Processing, and Ergonomics, say that a malware can transmit data using inaudible sounds. It can steal confidential data or keystrokes using nothing more than a normal speakers and Microphones without any internet connection. Security researchers often suggest not to connect the system that has sensitive data to Internet so that cyber criminals can't reach them. But now, It can steal from audio sounds without network connection. So what now?! Then, Let us remove the audio devices. The researchers says it can be prevented by switching off audio I/O devices. Sometimes, we might need audio devices. 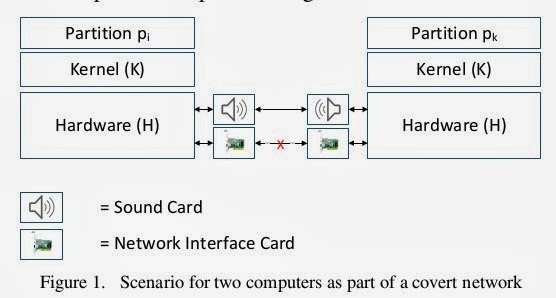 In that case, the inaudible communication can be prevented "by application of a software-defined lowpass filter". The researchers has described their idea in their paper entitled "On Covert Acoustical Mesh Networks in Air". You can find the research paper here. The University of Washington School of Medicine reports that their computer which had patient stored in it is infected with malware. The malware made it's way into the infected-system when an employee opened the email attachment that contained malicious software. After an internal investigation, they found that the patients' data are not targeted. However, the malware managed to access the files containing data of approximately 90k UW Medicine and Harborview Medical Center patients. The accessed-data includes names, Social Security Numbers,phone number, address, medical record number and few other details, According to their press release. UW Medicine officials started to notifying patients about the incident. The incident has also been reported to FBI. It is always good to create cyber security awareness among employees who are taking care of system that has both internet and sensitive data.